Mount Koya or Koyasan, in the Wakayama mountains of the Kansai region, has become a popular destination for tourists. 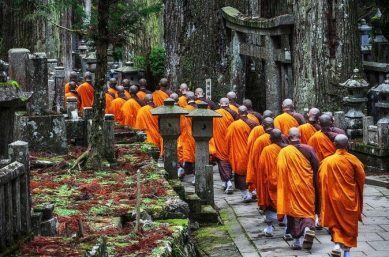 This religious area, located in remote mountains and surrounded by forests, is an amazing place which you can reach from Osaka or Kyoto with your Japan Rail Pass, making for the perfect day trip and even allowing visitors even to stay in a temple lodging. Mt. Koya (Koya-san, in Japanese) is located in the Wakayama prefecture in the Kansai region – south of Osaka. 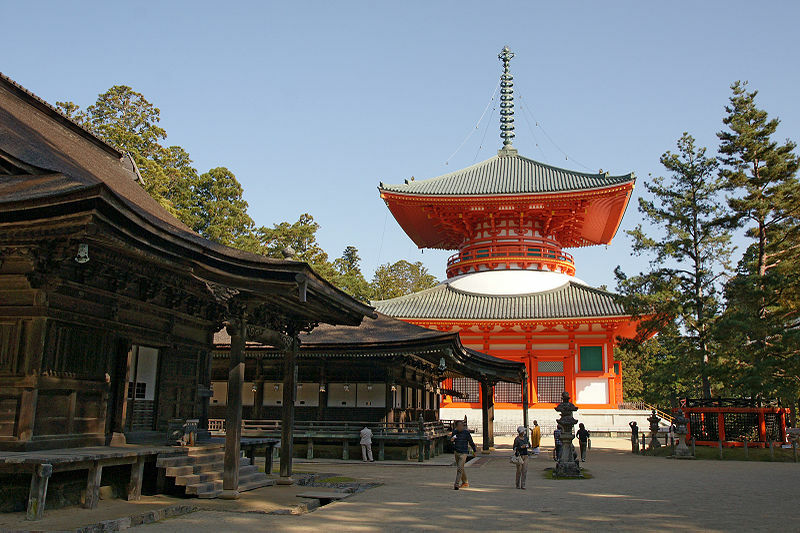 This is the very center of Shingon Buddhism – one of the leading Buddhist sects in Japan. Founder and a leader of this teaching was the great Kobo Daishi (774-835), who is believed to have seen the Great Buddha, after coming out of his meditation. His mausoleum is an absolute must for all visitors – foreign and locals, as this is also considered one of the most sacred places in all of Japan. It is said that Kobo Daishi, the founder of the Shingon Buddhism, is not dead but in eternal meditation while awaiting Miroku Nyorai – the Buddha of the Future. During his time in meditation, people say that Kobo Daishi helps those who ask for salvation and relief. In relation to this, the Shingon school teaches of thirteen Buddhas who assist people during their life on earth and continue helping them after death to find the path to enlightenment. Do not miss out on learning more about the Pilgrimage Trails of Mount Koya that take close to two months to complete on foot. People say that after making only one journey of this kind, it will change your views on life completely. What is more, this is the perfect place for a night in a temple lodging. One of the best ways to experience the traditional, spiritual and humble life of the Buddhist monks for a night. Traveling to the area will take you through its dense forests and traditional architecture, consisting of over a hundred Buddhist temples. The temples are spread around two distinctive areas: temples and pagodas (3 or 5-story structure, with Indian origins) to the west of Mount Koya. 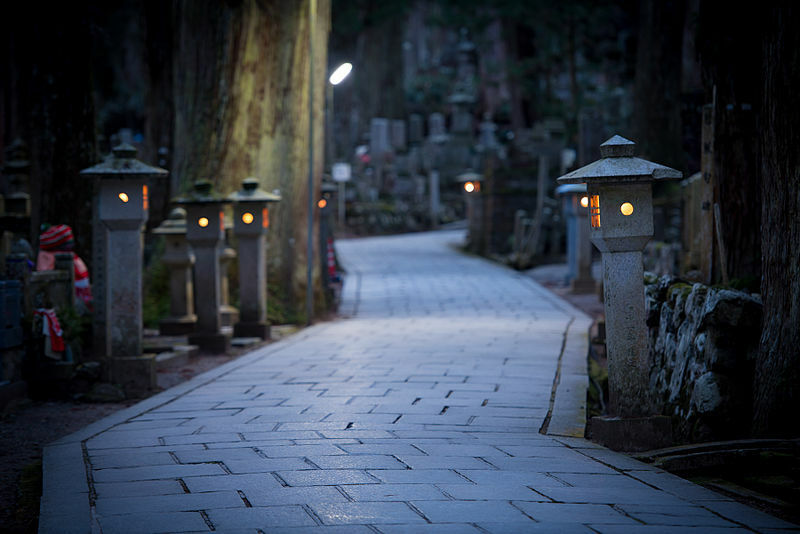 Okunoin, the largest and most mysterious cemetery in all of Japan is in the east area. 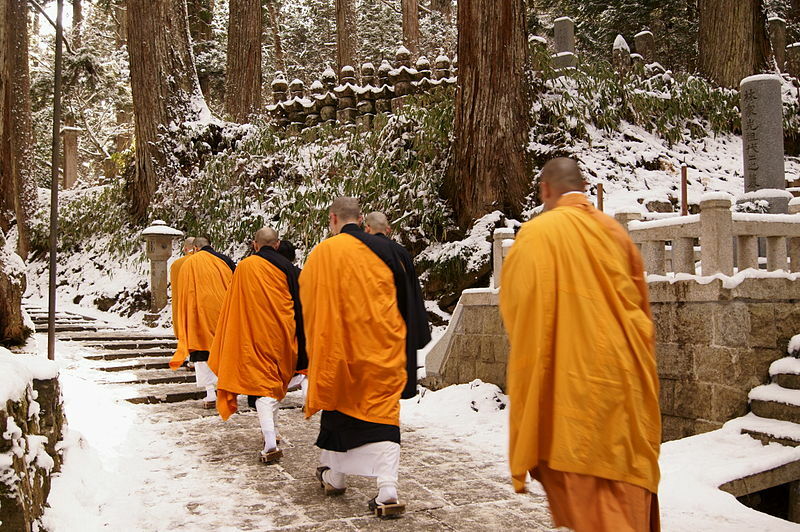 The Japanese believe there are no dead in Okunoin – just awaiting spirits. Furthermore, tourists and pilgrims can also stay at a temple lodging, accustomed to foreign guests, which allow experiencing the simple and long-established lifestyle of the Buddhist monks. You can do so through Japanese Guest Houses and Koyasan Shukubo Association websites. It is possible to reach Mount Koya using your Japan Rail Pass. However, it will be slightly slower in comparison with the journey, described below. 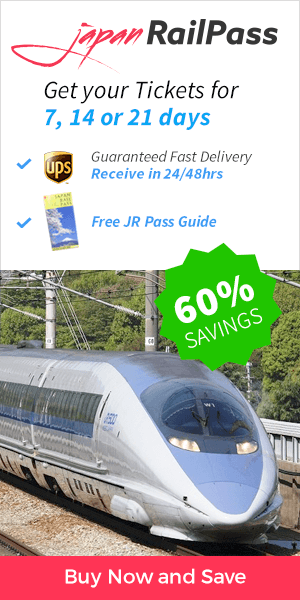 Take the JR Kuroshio train from Shin-Osaka to reach Wakayama station. The train ride will take close to an hour. Note: Shin-Osaka is not the central station in Osaka, but the hub for shinkansen bullet trains. However, if you have come from Tokyo, this would have been your final station. Once at Wakayama Station, take the JR Wakayama line for 19 stops, until you reach Hashimoto station. Reaching Hashimoto from Wakayama will also take about an hour. From Hashimoto station take the Nankai-Koya line and ride for 9 stops, until Gokurakubashi station. From there, take the Nankai Koyasan Cable car for a short 5-minute ride. Get off at Koyasan station. Following is a detailed guide on how to reach Mount Koya from Osaka. Take the Nankai line from Osaka’s stations – Nanka or Shin-Imamiya. Take the Nankai line from any of these two stations and ride to Gokurakubashi station. 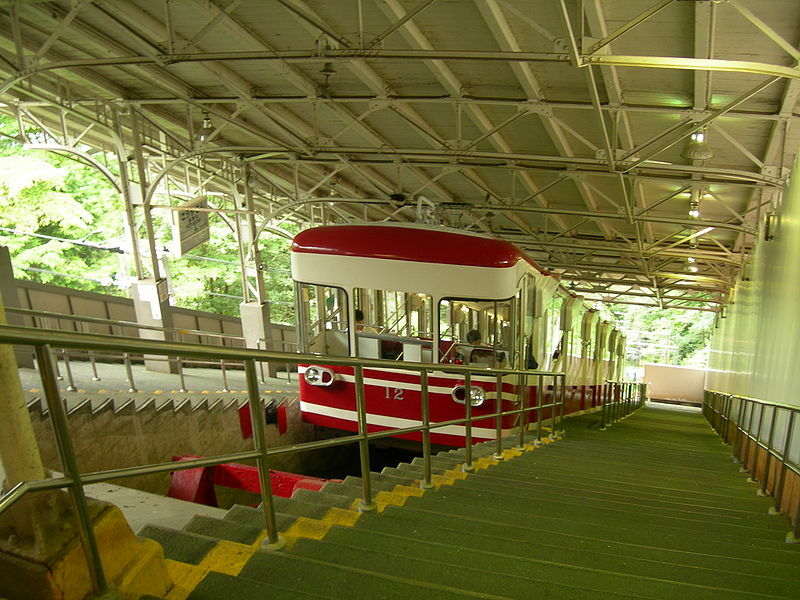 Once at Gokurakubashi, take the Nankai Koyasan Cable car. It will take you up to Koyasan Station for 390 yen. The journey takes no longer than 5 minutes. From there you will have to walk about 2.3 km (1.42 miles) until you reach your final destination. It takes approximately 40 minutes to get to the Buddhist area from Koyasan station. An alternative would be to make a short bus ride for just 10 minutes, costing you 290 yen to Senjuinbashi – this is city center where all the tourist information and offices are located. You can also save money by purchasing the Koyasan World Heritage Ticket, a combined ticket that includes train, cable car and buses. Once there you can move around easily. However, three local bus lines commute to some of the main temples and tourist attractions. These buses can be very helpful in case the weather doesn’t allow long walks in the forest. For further information about routes and timetables, please visit Nankai Koyasan station guide and our map of the Kansai area trains. A perfect guide for Mount Koya (Kōyasan) – the site of Kobo Daishi’s mausoleum and the start and the end point of the Shikoku 88 Temple Pilgrimage. Including entrance to Okunoin, Kongo Buji and Dongo Garan temples. After an authentic Japanese lunch, your guide leads you to Okunoin and Danjo Garan, two of its most beautiful temples surrounded by stunning pagodas, Buddha statues, gates and mandalas. All entrance fees included.